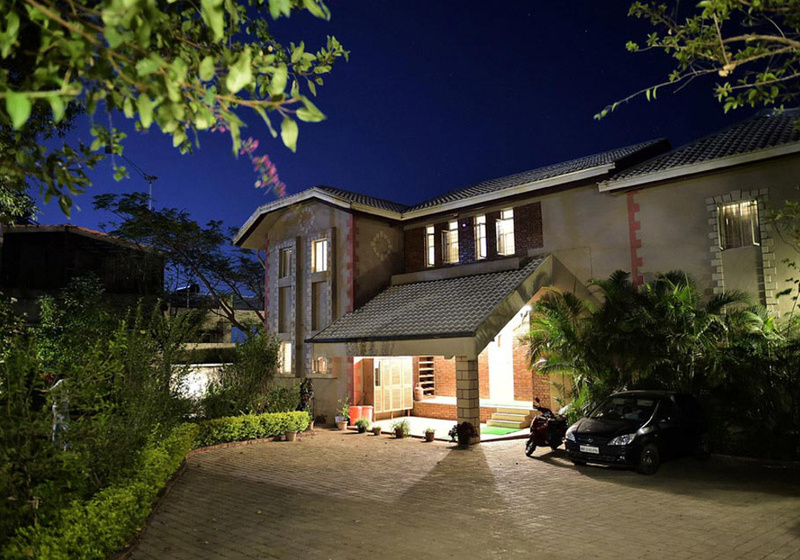 All references to “Dala Rooster”, “Dala Mare”, “StayPanchgani”, “we”, “us” and “our” in these terms and conditions are deemed to refer to Dala Rooster, situated on subplot of survey number 545/5, Near TCS holiday home, Panchgani 412806 and/or Dala Mare, situated on subplot of survey number Plot No.2, Survey No. 23, Bhose, Panchgani – 412806. 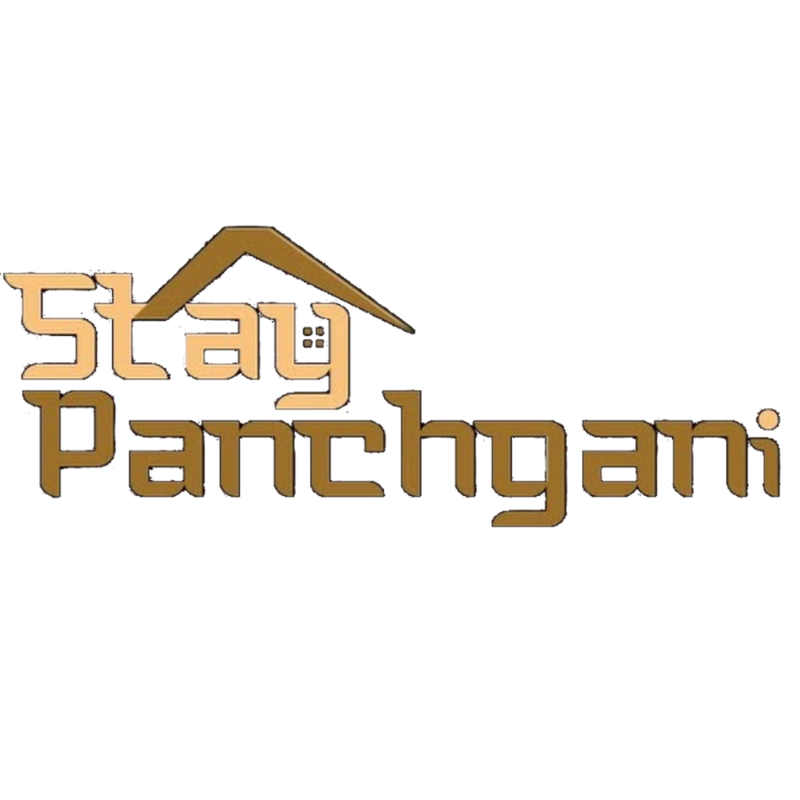 All references to “you” are deemed to be references to any customer, user and/or visitor of www.staypanchgani.com (the “Website”). Hereafter in the rest of this document wherever "Dala Rooster" is referred it refers to "Dala Rooster" as well as "Dala Mare". Dala Rooster permits the use of this Website subject to these terms and conditions (“the Terms and Conditions”). By using this Website in any way, you shall be deemed to have accepted all the Terms and Conditions unconditionally. You must not use this Website if you do not agree to the Terms and Conditions. 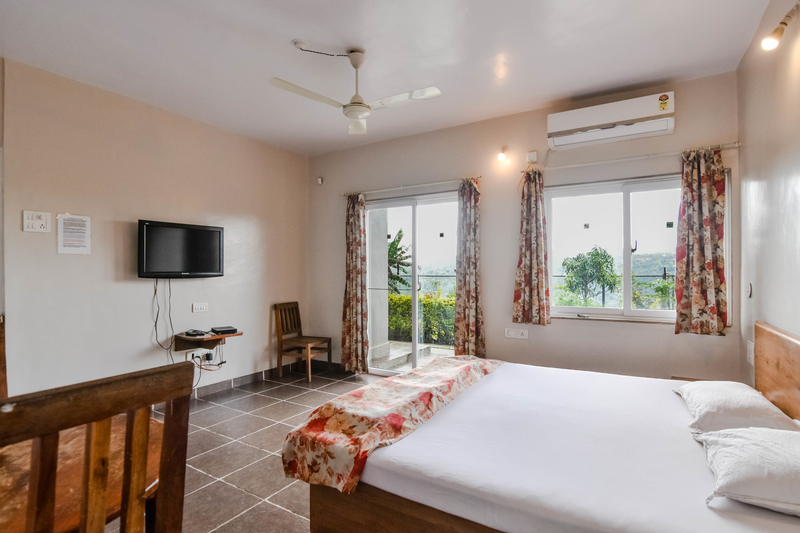 Your use of any accommodation offered by us will also be subject to applicable provisions of the Terms and Conditions. In the event of any conflict between the Terms and Conditions and any other conditions stipulated elsewhere, the Terms and Conditions as contained herein will prevail. The contents of this Website, including any content, information, software, icons, text, links, graphics, layouts, images, sound clips, trade names, logos, trademarks and service marks are protected by law, including but not limited to copyright and trademark law, and are owned by or licensed to Dala Rooster. No license to or right in any of such contents is granted to or conferred upon you. Any unauthorised use, distribution or reproduction of the said contents is prohibited. By entering this Website, you agree that you will not use any device, software or other instrumentality to interfere or attempt to interfere with the proper working of the Website and that you will not take any action that imposes an unreasonable or disproportionately large load on our infrastructure. In addition, you agree that you will not use any robot, spider, other automatic device, or manual process to monitor or copy the pages of the Website or the content contained herein, without the prior written consent from an authorized Dala Rooster representative (such consent is deemed given for standard search engine technology employed by Internet search websites to direct Internet users to this Website). You may not use the Website to distribute material which is defamatory, offensive, and unlawful or contains hate speech. ALL YOUR DETAILS AS RECORDED ON THE WEBSITE ARE TRUE AND CORRECT. YOU ARE LEGALLY CAPABLE OF CONCLUDING A TRANSACTION. YOU HAVE READ, UNDERSTOOD AND ACCEPTED THESE TERMS AND CONDITIONS. Dala Rooster will rely on instructions that appear to originate from you even if they come from someone else impersonating you and to act on any instruction purporting to originate from you unless you notify us of any irregularities. THE WEBSITE IS PROVIDED “AS IS”, WITHOUT WARRANTY OF ANY KIND, EITHER EXPRESS OR IMPLIED, INCLUDING, BUT NOT LIMITED TO, THE IMPLIED WARRANTIES OF MERCHANTABILITY, FITNESS FOR A PARTICULAR PURPOSE, COMPLETENESS, OR NON-INFRINGEMENT, AS MAY BE ALLOWED IN LAW. While Dala Rooster takes reasonable measures to ensure that the contents of this Website are accurate and complete, we makes no representations or warranties, whether express or implied, as to the quality, timeliness, operation, integrity, availability or functionality of this Website or as to the accuracy, completeness or reliability of any information on this Website. Dala Rooster reserves the right to make changes, corrections and/or improvements to the information and to the products and programs described in such information, at any time without notice. Dala Rooster will use reasonable endeavors to maintain the availability of the Website, except during scheduled maintenance periods, and reserves the right to discontinue providing the Website or the service or any part thereof with or without notice to you. Any person who accesses this Website or relies on this Website or on the information contained in this Website does so at his or her own risk. In addition to the disclaimers contained elsewhere in these Terms and Conditions, Dala Rooster also makes no warranty or representation, whether express or implied, that the information or files available on this Website are free of viruses, spyware, malware, trojans, destructive materials or any other data or code which is able to corrupt, destroy, compromise or jeopardize the operation, stability, security functionality or content of your computer system, computer network, hardware or software in any way. Dala Rooster does not accept any responsibility for any errors or omissions on this Website. All bookings have to be confirmed by the owners of dala rooster. We are not able to honor any bookings made directly through third parties which are without our knowledge and acceptance. 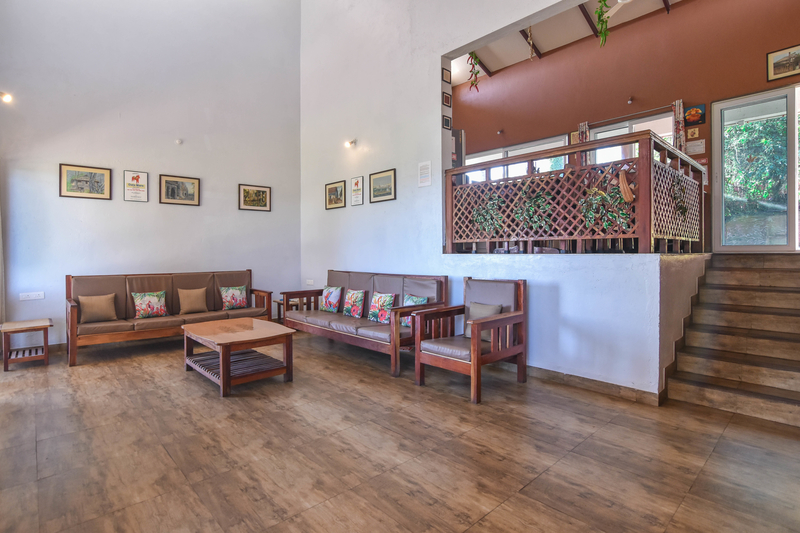 In case of any doubt, guests are requested to contact us directly by email- dalarooster@staypanchgani.com or call us at +91 9822086375. 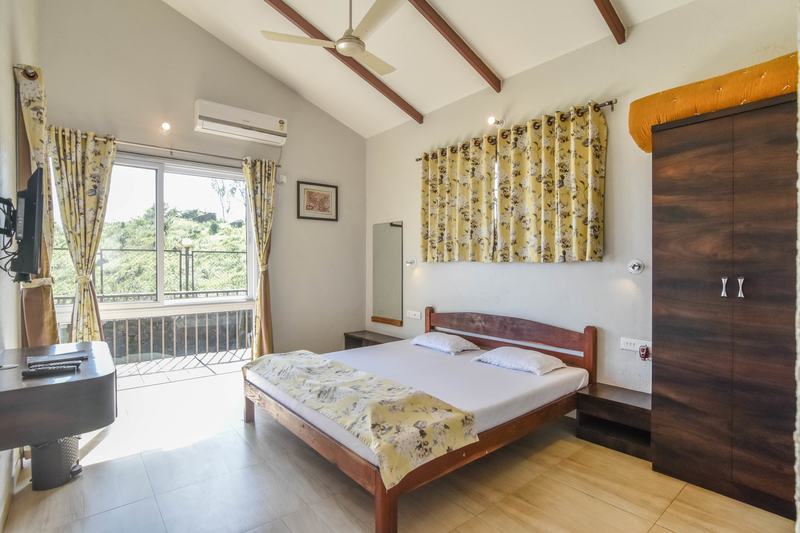 Payment for any reservations or other services for which fees may be charged by Dala Rooster shall be payable either on the reservation or in advance on arrival. A minimum of 50% amount as the advance is mandatory to confirm your booking. 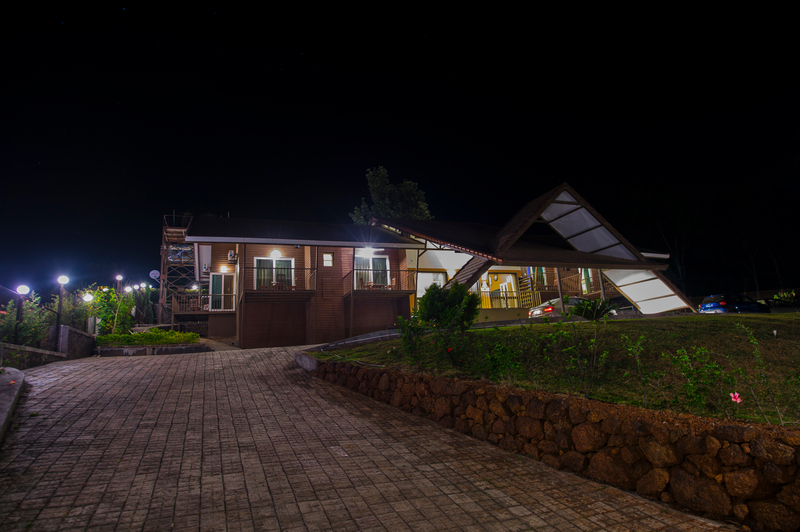 The rates payable in respect of the provision by Dala Rooster of any services and/or goods, including but not limited to the provision of accommodation at Dala Rooster, shall be the current applicable rates. 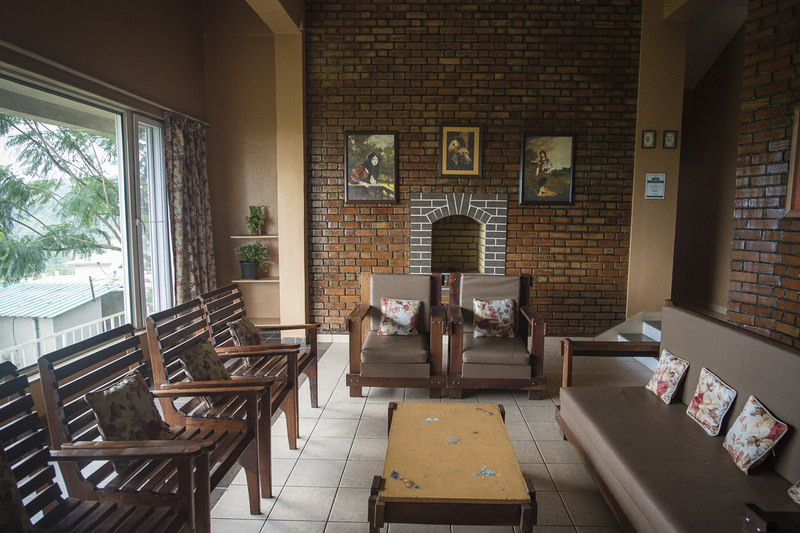 The guest is obliged to vacate his room and check-out by the time communicated to him by the Dala Rooster owner/management. If your arrival gets cancelled for any reason, for the first such cancellation, we will hold your complete advance and adjust it against your next proposed visit. In case you cancel your arrival for the second time, the entire advance you have paid will be retained by us and you will be requested to make a fresh booking. Also, should you arrive with lesser guests than the actual booking, you will be requested to make the full original payment and the extra amount that you would have paid us will remain with us and you or any of your guests can come at a later date and adjust the amount at that time. In case of no show, your entire advance will be retained by us and you are welcome to make a fresh booking for a later date. You warrant that you are duly authorized to sign for and bind all persons represented by you or for whom you are responsible (“your party”) to these conditions of residence and, failing such authority or regardless of billing instructions, you agree to be personally liable for all amounts arising from the occupation or residence of your party and yourself at Dala Rooster. You agree to pay not later than the time of departure (unless prior written arrangements have been made with the Dala Rooster owner/management) the charges as advised to you, incurred by you and your party during your stay in the Dala Rooster. You agree that after your departure, the owner/management may retain goods left behind by you and authorize the owner/management, after giving one month’s notice to the address registered by you of its intention to do so, to sell same, privately or publicly, at the our discretion at such price as the owner/management may determine and offset the proceeds of such sale against your indebtedness or to hold such proceeds or part thereof for a period of three years pending any claims by you for those proceeds failing which they shall be deemed to have been forfeited to Dala Rooster. YOU HEREBY AGREE, AS A CONDITION OF YOUR OCCUPATION OF OR RESIDENCE AT DALA ROOSTER, THAT DALA ROOSTER AND OWNER, MANAGER AND/OR OPERATOR OF DALA ROOSTER AND THEIR AFFILIATES AND EMPLOYEES AND REPRESENTATIVES SHALL NOT BE RESPONSIBLE OR LIABLE FOR ANY ACCIDENT OR ANY INJURY OR DEATH OF ANY PERSON OR THE LOSS OR DESTRUCTION OF OR DAMAGE TO ANY PROPERTY, WHETHER ARISING FROM FIRE, THEFT OR ANY OTHER CAUSE WHATSOEVER AND BY WHOMSOEVER CAUSED OR ARISING FROM THE NEGLIGENCE OR WRONGFUL ACTS OR OMISSIONS OF THE DALA ROOSTER. YOU ACCORDINGLY HEREBY IRREVOCABLY AND UNCONDITIONALLY INDEMNIFY AND AGREE TO HOLD HARMLESS THE DALA ROOSTER IN RESPECT OF ANY RESPONSIBILITY AND/OR LIABILITY AS AFORESAID. This Website may contain links or references to other websites outside of our control, including those of advertisers. These Terms and Conditions do not apply to those websites and Dala Rooster is not responsible for the practices and/or privacy policies of those sites or the cookies those sites use. In addition, because Dala Rooster has no control over such external sites and resources, you acknowledge and agree that Dala Rooster is not responsible for ensuring the availability of such external websites or resources and does not endorse and is not responsible or liable for any content, advertising, products, or other materials on or available from such websites or resources. Your use of such other websites is entirely at your own risk and we are not responsible for any loss, expense, claim or damage, whether direct, indirect or consequential, arising from your use of such other websites or your reliance on any information contained on those websites. Nobody may establish a hyperlink, frame, metatag or similar reference, whether electronically or otherwise (collectively referred to as linking), to this Website or any subsidiary pages before receiving the prior written approval of an authorized representative of Dala Rooster, which may be withheld or granted subject to such conditions Dala Rooster may specify from time to time. Furthermore, this Website or any part hereof may not be “framed” or “deep linked” in any way whatsoever. This Website may from time to time contain message boards which allow users to comment on their experience at Dala Rooster. At times those comments may contain references to matters not related to Dala Rooster. Those references do not necessarily represent the views of Dala Rooster. THE DALA ROOSTER SHALL IN NO WAY BE LIABLE FOR ANY DIRECT, INDIRECT, INCIDENTAL, SPECIAL OR CONSEQUENTIAL INJURY, LOSS OR DAMAGES WHICH MIGHT ARISE FROM YOUR USE OF, OR RELIANCE UPON, ANY MATERIAL OR CONTENT CONTAINED IN THE WEBSITE OR ANY LINKED WEBSITE, OR ANY INABILITY TO USE THE WEBSITE, OR ANY UNLAWFUL ACTIVITY ON THE WEBSITE, EVEN IF DALA ROOSTER WAS AWARE OR HAS BEEN ADVISED OF THE POSSIBILITY OF SUCH LOSS, EXPENSE, CLAIM OR DAMAGES, UNLESS SUCH LOSS OR DAMAGES ARISE DUE TO THE GROSS NEGLIGENCE OF DALA ROOSTER. YOU HEREBY INDEMNIFY DALA ROOSTER AGAINST ANY LOSS, CLAIM OR DAMAGE WHICH MAY BE SUFFERED BY YOURSELF OR ANY THIRD PARTY ARISING IN ANY WAY FROM YOUR USE OF THIS WEBSITE OR THE RECEIPT BY YOU OF AN ELECTRONIC MAIL FROM DALA ROOSTER OR ONE THAT PURPORTS TO EMANATE FROM DALA ROOSTER, UNLESS THE LOSS, CLAIM OR DAMAGE ARISES AS A RESULT OF THE GROSS NEGLIGENCE OF DALA ROOSTER. Dala Rooster reserves the right to update and/or amend the Terms and Conditions from time to time and without any notice, and you are accordingly encouraged to check the Website regularly. Any such change will only apply to your use of this Website after the change is displayed on this Website. If you use this Website after such updated or amended Terms and Conditions have been displayed on this Website, you will be deemed to have accepted such updates or amendments. Dala Rooster may in its sole discretion terminate, suspend and modify this Website and/or your use of this Website, with or without notice to you. You agree that Dala Rooster will not be liable to you in the event that it chooses to suspend, modify or terminate this Website or your use of this Website. The Terms and Conditions shall be governed and interpreted in accordance with the laws of India and application for any of the services offered on these pages or sites will constitute your consent and submission to the jurisdiction of the Indian courts regarding all proceedings, transactions, applications or the like instituted by either party against the other, arising from any of the terms and conditions pertaining to such services.